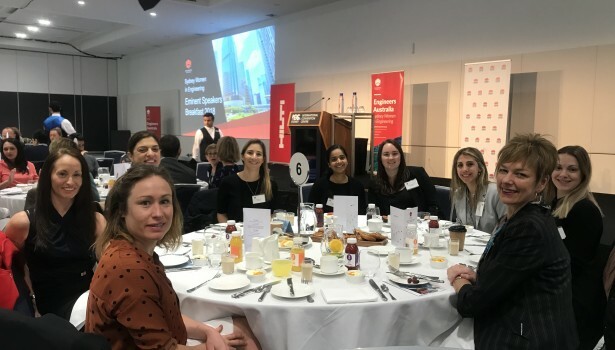 ConnellGriffin had the pleasure of hosting a table at the Engineers Australia Women in Engineering Eminent Speakers Breakfast. Our advisors and their guests listened to a presentation by Alison Mirams who gave personal insight on how she has developed and excelled in her career. From being a contract administrator at Multiplex, to her becoming CEO of boutique tier 1 construction company, Roberts Pizzarotti. Alison’s vibrant speech touched on many topics; highlighting the importance of mentors and sponsors, and for us to embrace all career opportunities. A big thank you to our clients for joining us.